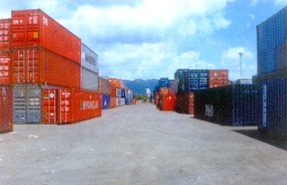 Paved Area – 72, 000 sq. mts. Warehouse space – 8500 sq. mtrs. Equipment –3 reach stackers, loaded sling crane, 50 tonne capacity, Cargo handling forklifts, Trailers for internal shifting of containers, Dedicated trailers for export movement. Rail Service on demand is offered for Ankleshwar, Khodiyar, Vadodara, Nagpur, Kanpur, Dadri etc. 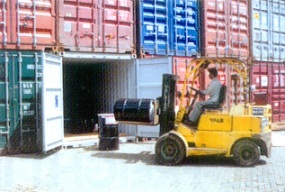 for re-positioning of empty containers. LCL re-working for import and export cargo. Bank extension counter for payment of customs duty.